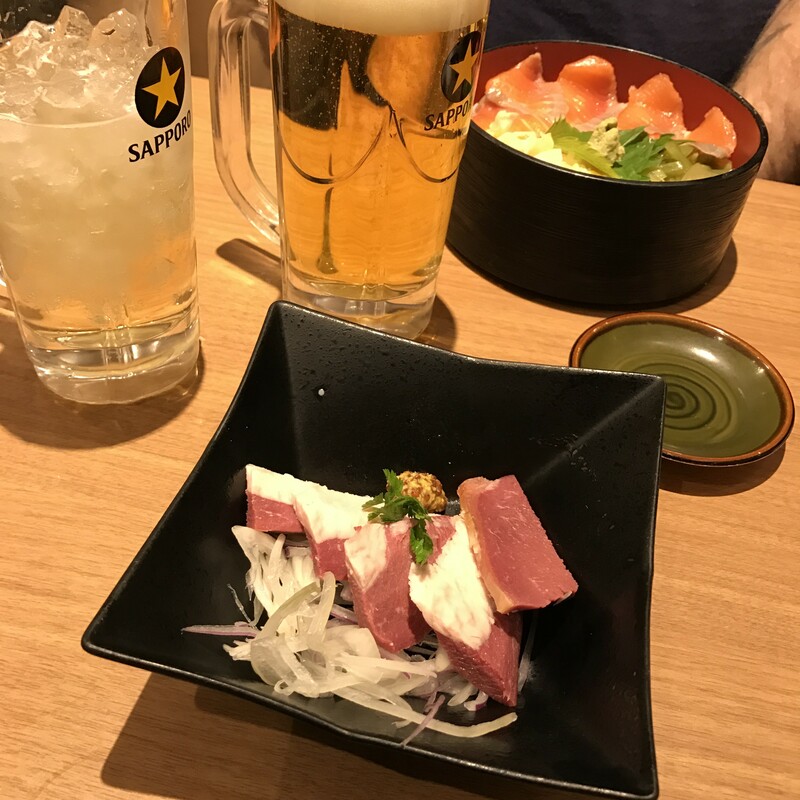 I had planned to eat tsukemen at Rockurinsha in Tokyo Station, but the whole state of affairs underground was overwhelming. There are hundreds of restaurants, high and low. I mean, Sant Pau? Or Wendy’s? I wanted to start a blog no one would read called “Tokyo Station” where I would sample a new establishment every day. There would be fodder for years. So, Hokkaido tapas. I could not resist ordering deer bacon. It turned out to be more like less salty country ham and served with sliced raw onions and mustard, which felt not Asian at all and borderline Hungarian. Whiskey highball, of course. 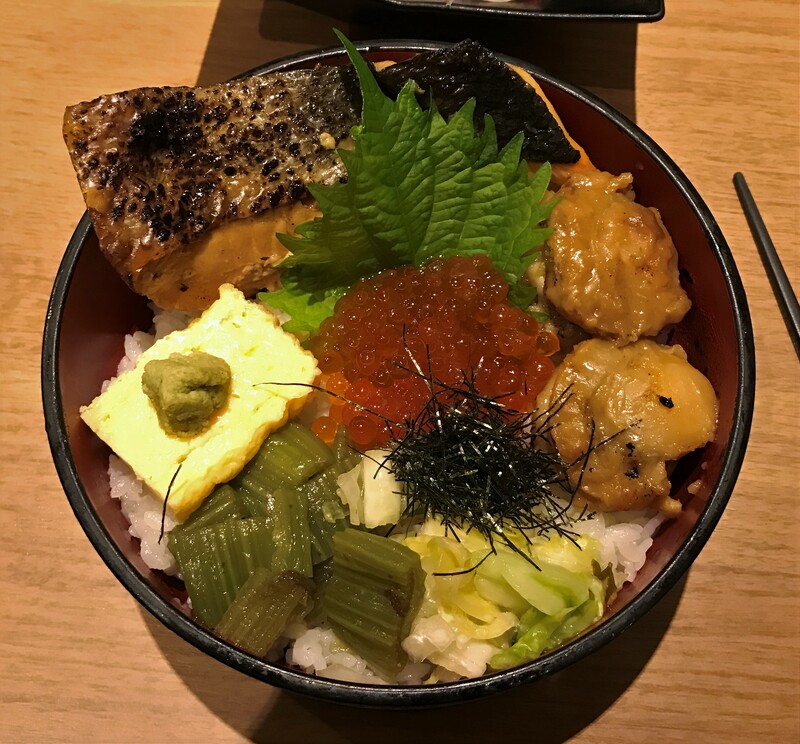 This was a nice little bowl featuring salmon, but also fried oysters, roe, omelet cube, and pickled celery (possibly the only humane way to serve celery). 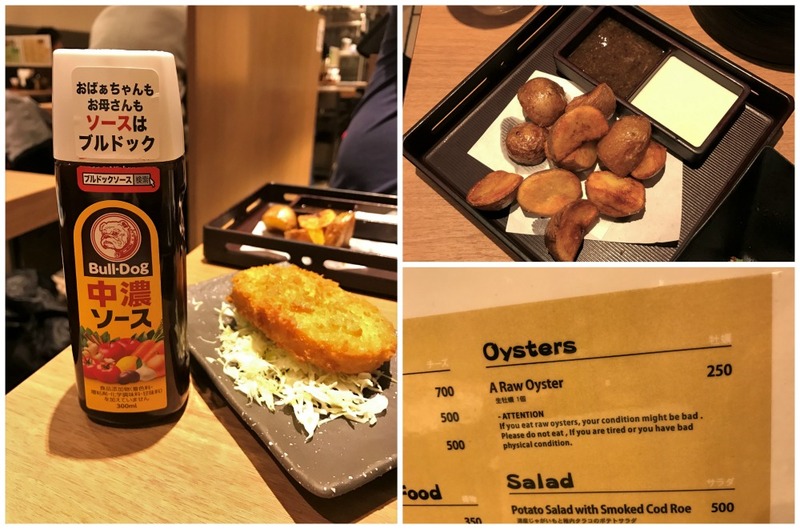 Potato, two ways, and a warning against eating raw oysters if you’re tired. I didn’t make it to Rockurinsha but I did find a new-to-me non-Sanrio character, Kapibarasan, which had a pop-up store devoted entirely to it. 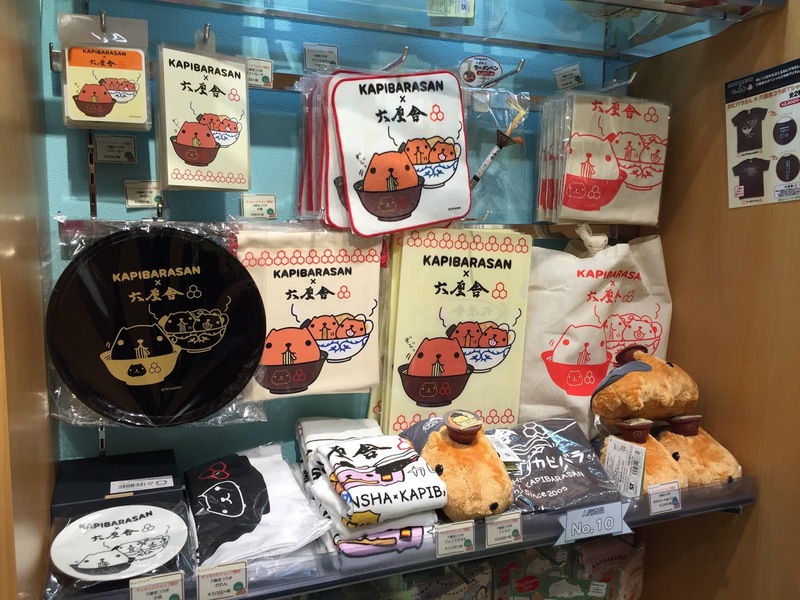 Apparently, there was some collab with Rockurinsha because I recognized the brand’s three hexagon logo on goods where the capybaras were slurping ramen.